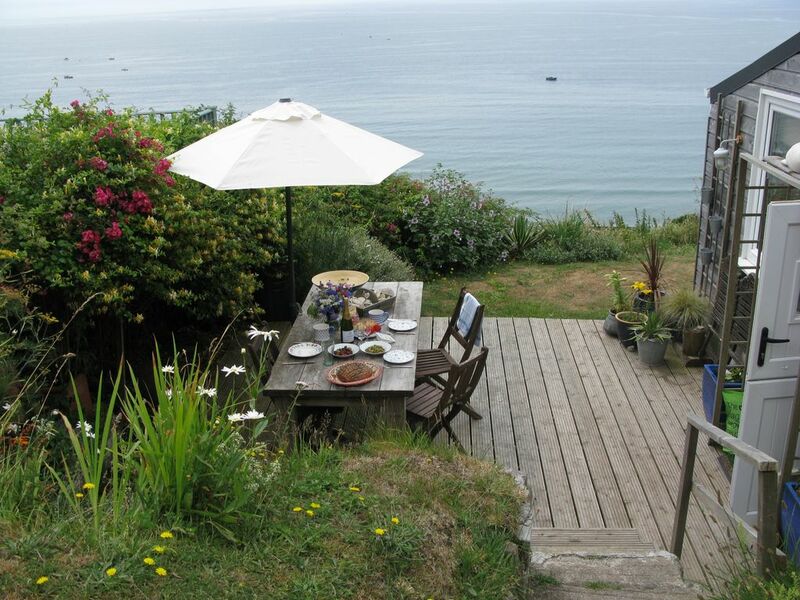 xShellseekers cabin is perched on the side of Tregonhawke cliff, Cornwall's forgotten corner. It has panoramic views from Rame head to The Lizard, with many miles of golden sands to explore. The cabin has 2 bdrooms, 1 double bed with spectacular views out to the Eddystone lighthouse, a bunk room idea for small children as one bunk is 5 foot 4 inches only. Sitting room has a log burner, perfect to cosy up on winter nights. A large deck to eat Al Fresco and dolphin watch. A perfect place to retreat, relax and lose time.